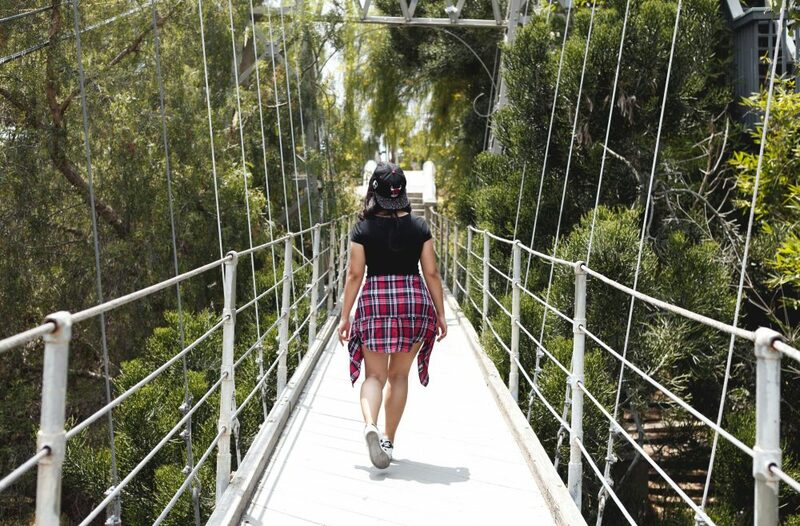 Suspension Bridge: A historical landmark of San Diego located on Spruce St. and 1st. Ave.
As a Southern California native, I’m lucky to be around such a huge variety of culture, cities, and scenery. Los Angeles is on the coast, Palm Springs is just a 2-3 hour drive east, and for those who love partying, Tijuana and Las Vegas are just a few hours away by car. You can also choose to drive up the coast and head up to Santa Barbara or San Francisco, and Catalina Island is accessible by boat. There are so many places to visit in California, even locals like me have yet to visit them all. 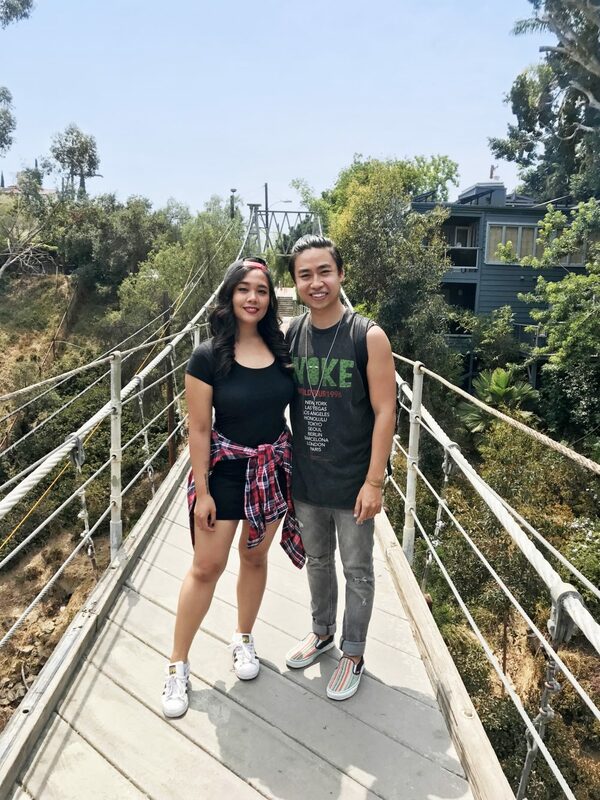 After tackling my own BFF Budgeting Challenge with my cousin Andrew Sia, we decided to use our hard-earned $800 and go somewhere local we’ve never ventured to before: San Diego. Just about 2 hours south of us, this gorgeous place has been patiently waiting for me to explore. After spending just one weekend here, I’ve fallen in love with the culture, cityscapes and oceanic scenes that this beautiful place has to offer. 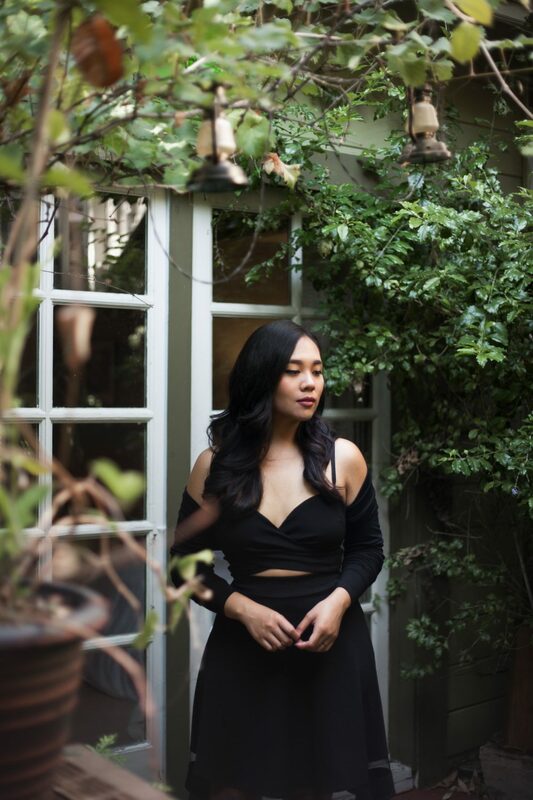 Since I have grown so adjusted to Los Angeles over the years, I now know most of the best and affordable places to eat, shop, hang out or party at, and never felt the need to explore any other busy city. I’d also always heard that San Diego, moreover, the Gaslamp Quarter, was extremely pricey, but I recently wanted to prove this statement wrong. Thanks to the convenience of Rize, Andrew and I were able to save $400 each for our weekend staycation, and we were determined to see if we could stay under an $800 budget (you can also join Rize for free here to save up for your next vacation!). We broke a sweat when we calculated the totals at the end, but we stayed under budget with a total of $765.23, including even things like hotel accommodations and transportation expenses. Considering that all of the posh gems in San Diego can get extremely pricey, we managed to splurge a few times while saving in other areas. Continue reading to see our budgeting strategies. We booked our Airbnb just the month before, and at the time I was afraid that we would be facing steeper prices. Much to my surprise, the inflated prices only reflected on hotels, but Airbnbs were much cheaper. Not only did we find a gorgeous Victorian home full of history at a competitive price, but it offered tons of great photo opportunities for us during our downtime. Another big reason we decided to choose an Airbnb was that first-time bookings over $75 can get you $40 off (you can also get $40 off through my link here!). This Airbnb is a gorgeous renovated Victorian-style home right next to Little Italy and the airport. Walking to Little Italy took us just 10 minutes, and heading to Gaslamp was just a quick Uber drive away, costing only between $3 – $10 per ride. This home has several rooms that were always occupied, so it had a bit of a hostel feel, but all guests were non-intrusive and respectful of each other. We had access to the kitchen facilities, fridge, and also had 24/7 access to their stunning multi-level backyard and rooftop decks (which made for pretty pictures), equipped with a barbecue grill and fireplace. A few of the rooms even had private balconies! Our host, Michael, was extremely helpful and gave us cheat sheets with the most affordable places to eat and drink locally. He also provided us with tips on avoiding tourist traps and also had a calendar in the kitchen with local events, one of them being the huge Pride festival during our weekend stay. We were provided with towels and all 3 bathrooms had toothpaste and other toiletry essentials in the event guests forgot to pack them. We paid $119 x 2 nights and after all service fees we were brought up to $309, but saved $40 because this was our first booking through Airbnb. I think this was very reasonably priced for everything we were offered. I have also seen this Airbnb as low as $49/night but I think prices go up as time passes, just like with hotel rates. I highly suggest staying at this Airbnb, and if not, search for other available Airbnb options. 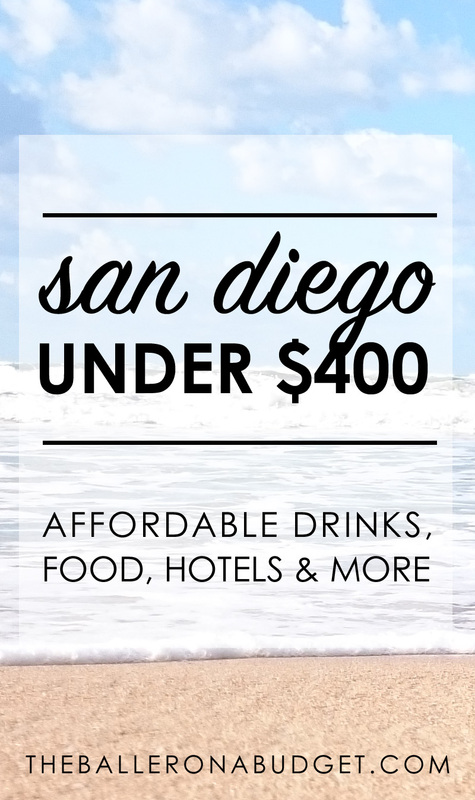 Hotels in San Diego can be extremely pricey, especially in Downtown. Save yourself a few hundred dollars and avoid the hotels! Click here to redeem $40 off your first Airbnb trip over $75. If you’re not fond of the idea of staying in someone else’s home or condo, you still have the option for a hotel room, but you must plan in advance to get the best deals. Booking with chain hotels like the Marriott or Best Western may get you a better deal than the boutique hotels in the Gaslamp Quarter, but be sure to check thoroughly before booking to avoid any possible cancellation fees. Check out Priceline’s “Name Your Own Price” program, where you can punch in your price and find available hotel rooms within your budget. Also be sure to check out Expedia for some last-minute hotel and travel deals. Although San Diego is notorious for expensive social activities, there are so many other free things to do and see. After doing some research with my buddy Google, I was able to compile a list of beautiful places to visit and take photos at. San Diego has a ton of historical monuments that contribute to its culture, which makes it a destination for tourists, both abroad and local alike. 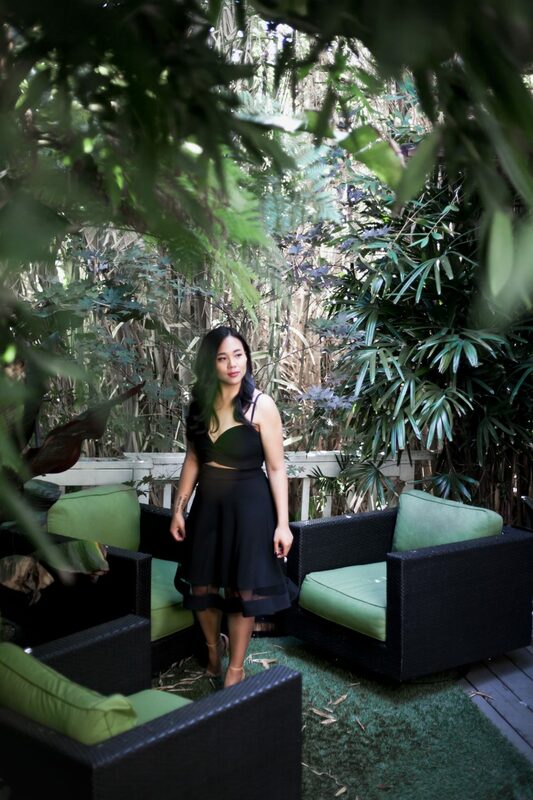 If you’ve got some room to spend, Groupon and Living Social have tons of things to do in San Diego, from spa treatments, bar hopping deals, dancing lessons, boat rides and more. Make sure to check out my Ultimate Groupon Guide to Discounted Spa Treatments to learn how I got a haircut for $12 and a 90-minute massage for $36.00. Located on Spruce St. and 1st. Avenue on the north end of Banker’s Hill, this suspended bridge is a hidden gem in the neighborhood. Locals often frequent the bridge for daily walks, despite the swaying it can experience from a gust of wind. Definitely not for those afraid of heights, this bridge is suspended on cables and is about 70 feet above the Sessions Canyon. History aside, this place is just a pedestrian crossing, so there is no admission to enter and you are free to act like a complete blubbering idiot when crossing the bridge. Andrew and I spent quite a bit of time taking photos, giggling, scaring each other, and filming a terrible video of me dancing to Justin Bieber’s Despacito. The Museum of Contemporary Art San Diego is a small museum located in Downtown San Diego. Although you can walk through all the installations in an hour or less, if you’re age 25 or under admission is completely free. Seniors pay $5 and all others pay just $10. 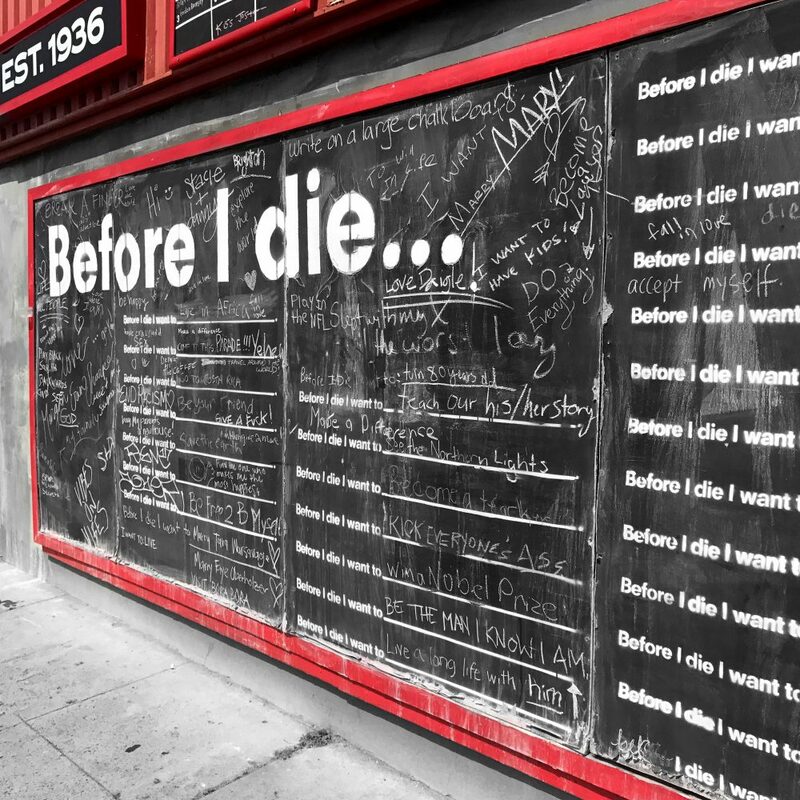 On the corner of University Ave. and Richmond on the side of Alibi Restaurant is a large chalkboard wall, filled with tons of fill-in-blank sections for the passerby to write their biggest goals and aspirations. This wall is one of over 2,000 walls scattered across the globe in 70 countries and 35 languages, making this one piece of a globalized, thought-provoking piece of art. Every year in July, San Diego becomes home to the one of America’s biggest LGBT Pride Parades. We happened to stay during the weekend of this huge event and caught a glimpse of the LGBT community on the streets. It made for such a fun environment to be around at the bars and nightclubs we went to. Even if you miss the parade in the morning, there are tons of block parties happening all throughout the weekend, and plenty of bars and clubs have drink and admission specials to celebrate the occasion. 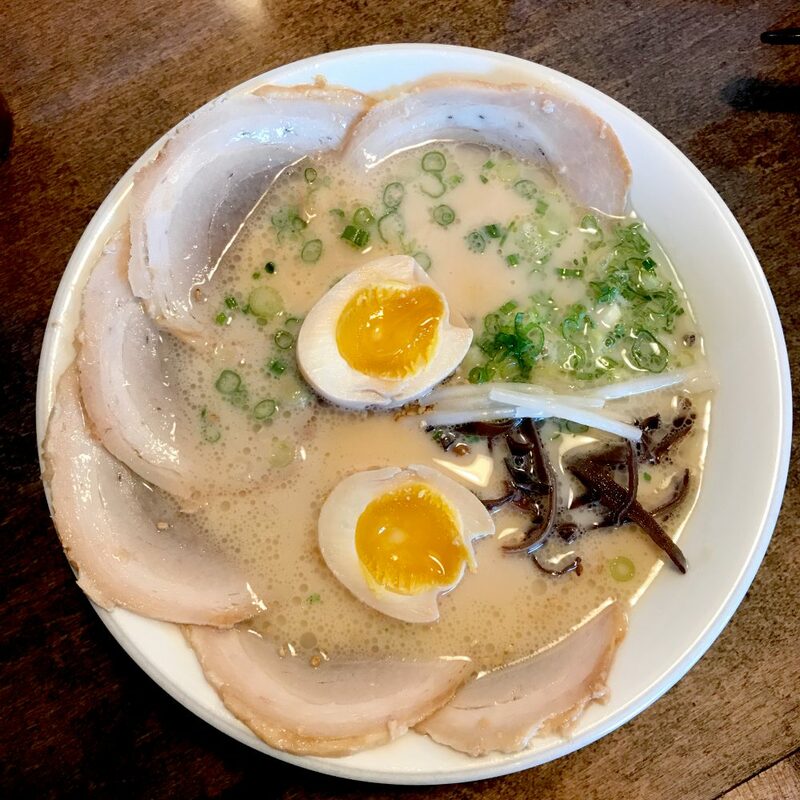 Menya Ramen’s Tonkotsu ramen is a creamy, savory bowl of ramen that is nothing like any other ramen house I’ve been to stateside. A bowl is just $8.95. Although San Diego can be quite upscale when it comes to dining, there are several places that are both extremely popular and inexpensive. The below list are my favorite places – they’re also all in the inexpensive ($) category on Yelp. Garlic Shack: A blend of American and Asian food; everything from burgers to noodle soups. Wasabi fries, Korean beef sandwich, soju bombs, jello shots are menu staples. El Zarape: Lobster burritos, crab burritos, and surf and turf burritos are popular, although they are known for their carne asada fries. They also have vegetarian options. Bahn Thai: Apparently the BEST Thai food and crab rangoon ever. Food is served on paper plates and you have to eat outside, but it’s worth it. Lucha Libre Gourmet Taco Shop: Their street tacos have been featured on TV! Itching for beer? Ballast Point in Little Italy is brewery and restaurant with a huge selection of beer and food. Beer flights are only $5 for 3-4 oz. glasses. Although Gaslamp has tons of expensive bars, there are several that have justifiable prices. If you’re willing to take a $5 Uber ride 1-3 miles away from Gaslamp towards toward Banker’s Hill or Little Italy, you’ll find a few gastropubs and dive bars that have excellent prices on drinks. 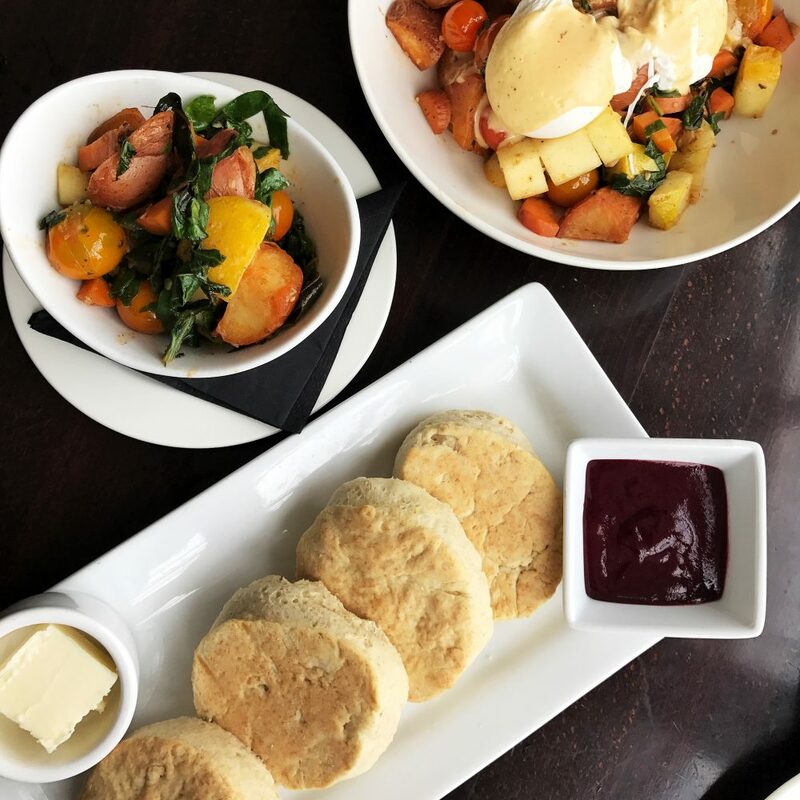 EAT at the Pearl has a continental-style breakfast and brunch menu and also has an extensive variety of day drinks for those trying to get their drink on before 2PM. 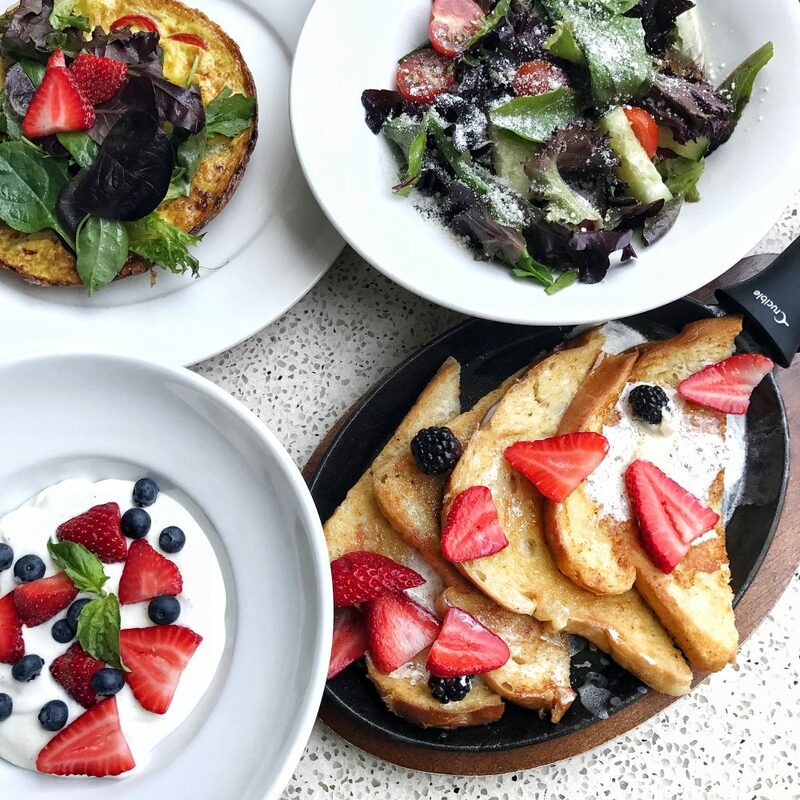 It was extremely hard to pick restaurants for brunch since we could only pick two for the weekend, but I did so much research on the best brunch restaurants that offer value on not just their food, but their day drinking choices too! Our first choice we went to was at EAT at the Pearl, which is a retro-inspired trendy hotel that offers poolside breakfast options and an impressive array of daytime cocktails, all priced at $10. Although they did not offer a bottomless option for specialty cocktails, the prices on entrees were fairly reasonable, especially for the cool and trendy atmosphere. On our second day, we went for breakfast at The Red Door, a Cape Cod-style restaurant in Mission Hills. This restaurant offers ethically sourced and seasonal dining choices between $10 – $16, which makes healthy and delicious meals a viable option. I wasn’t very hungry and got two sides, which, after tip, still cost me only a total of $11.62 (and still managed to fill me up). The best part: you can pick between bottomless mimosas or Bellinis for only $8 between 10AM and 2:30PM! 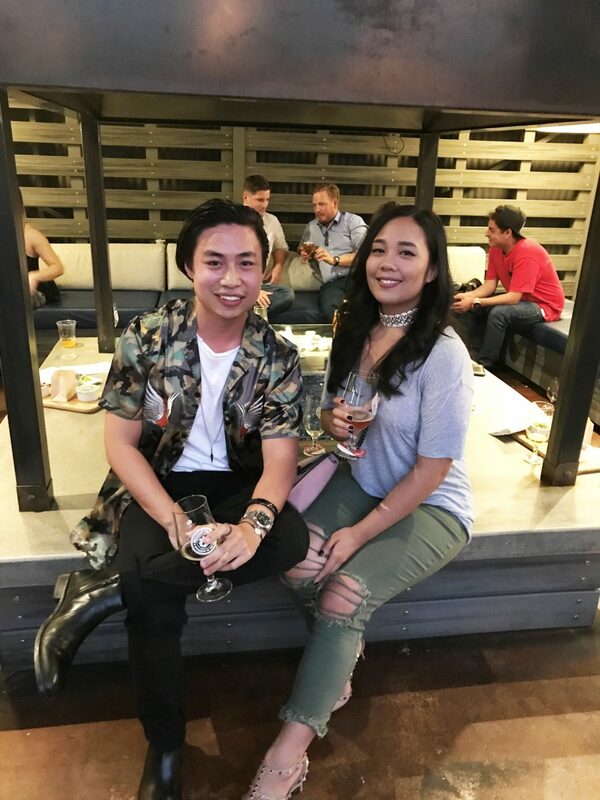 Sessions Public (Ocean Beach): Gastropub (burgers and fries, fried food); bottomless mimosas are $10 when you order an entrée or $5 individually. Also available are customizable Bloody Marys for $5 or $3 craft beers. Breakfast Republic (North Park, Point Loma): Massive portions – pancakes, cinnamon rolls, french toast, omelettes, etc. $8 beer flights, specialty drinks like a prosecco fresh-squeezed orange mimosa are $8, or a ginger kombucha mule for $8. Madison (University Heights): Smaller portions. $9 brunch cocktails and $7.50 Madison Mimosas. Pitchers available. Mimosa flavors include orange pineapple kale, cucumber honey, lemon blackberry, or Honeycrisp apple pomegranate. Taste & Thirst (Gaslamp): Huge portions – bar food. Every day until 2pm they offer $3 mimosas, $15 Champagne bottles, and single Bloody Marys for $4 doubles are available for $6. Brooklyn Girl (Mission Hills): Good portions, good for pictures (urban decor). No unlimited mimosas ($12 each), but you can buy juice and prosecco bottles for $24.00 each. The Pearl Hotel has the cutest lobby and poolside restaurant, which makes it a perfect place for Instagram-worthy pictures. We totally should have gone to a night club that had no cover fee. We spent so much money at Bang Bang since we had no idea that Poolside was DJing for the night, so we pretty much had to buy tickets for the show. That plus the ridiculously priced drinks racked our spending up significantly. I got a drink with tequila in it and Andrew got a bottle of Angry Orchard, which totaled up to $33 after tip! People weren’t lying about drinks in Gaslamp being really expensive. Ironside, despite the delicious food, was quite pricier than we had expected – the bill went up to $96 after tip. Seafood restaurants are usually priced much higher, so expensive cuisine plus drinks was a surefire way to make our bill heavier. I would imagine that anyone else could save more money by eating fast food, but I believe that food is a huge part of a culture that you have to experience when visiting areas you never travel to. For budget’s sake, you could definitely choose to save a few bucks and eat at McDonald’s or another chain fast food restaurant, but I feel that you would also be missing out on the food culture. Although we stayed local to Downtown San Diego, I also think we could have minimized spending on Uber rides if we had taken the time to walk… however, everything we went to was at least a mile or more away, and since we went to several places that day, it was not practical for us to walk everywhere we went. Even with catching Uber rides all day, we were super tired by the end of the day and decided to call it a night by 9:30PM. Perhaps instead of requesting for an UberX (a private ride), we could have chosen rideshare and slashed the costs in half. Other than those little mishaps, I’d say we did pretty great for our budget. The places we went to were still very nice and the restaurants offered delicious food, and we didn’t feel as if we were pinching pennies. We had the chance to go clubbing, get drunk, explore, and eat great food and stick very close to our initial budget. 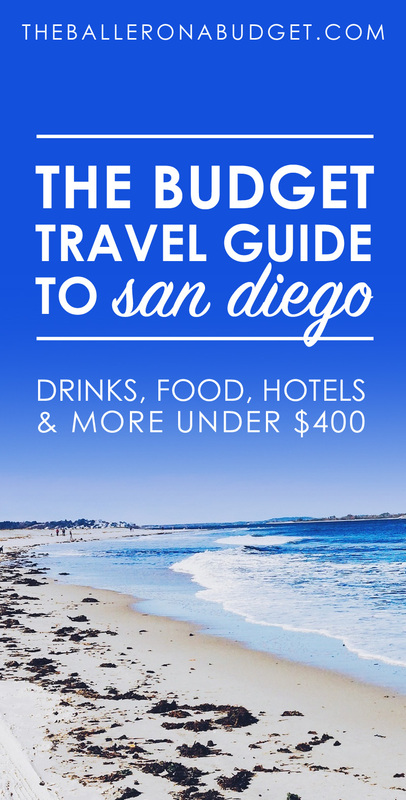 Let me know: are you thinking of going to San Diego soon? 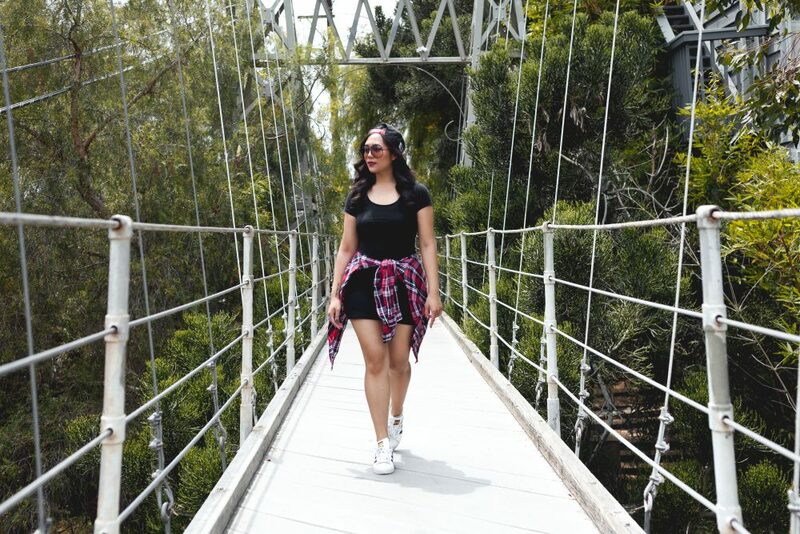 Let’s chat in the comments and don’t forget to subscribe to my newsletter below for more budget travel guides!